The Sri Lankan VA programme presented at the 2017 Festival is a journey of installation, visual and performance art, curated to explore the push and pull within community histories and individual memories of past violence, ongoing provocations, and the myriad of hopeful possibilities that exist within Sri Lanka’s still tenuous peace. In essence it is the exploration of the value, risks, and processes of healing. Colombo Art Biennale (CAB) holds the position as the largest and most internationally recognized contemporary art manifestation in Sri Lanka. Amidst the civil armed conflict in 2009, CAB was launched to harness the power of contemporary Sri Lankan art as a channel to communicate needed social change. CAB recently completed a successful fourth edition.Drawing from artists that have participated in the Colombo Art Biennale since its inception in 2009, ‘RETURN: in search of stillness’, presents a multi-media visual representation by eleven visual artists and 3 installation projects from Sri Lanka and of Sri Lankan inspiration, to deliver a visual trajectory of catharsis, displacement, exit and stillness. ‘RETURN: in search of stillness’ is gratefully supported by a number of organizations and individuals with special thanks to British Council Sri Lanka. Works include internationally acclaimed performance artist Venuri Perera’s look into barriers of entry and experiences of interrogation at airport immigration. Sovereign Asian Art award winner Pala Pothupitiya’s view into the politics of cartography. Photojournalist Abdul Halik Azeez’s religious intolerance in Sri Lanka. Anoli Perera’s gender and colonial discourse. Mixed-media artist Kanesh Thabendran’s visualizations of the missing, and Vijitharan M’s look into the wheel of war in politics. Other highlights in the documentarian vein include BBC and Al Jazeera featured UK-SL filmmaker Kannan Arunnasalam’s shorts on diverse Sri Lankan identities. Researcher Radhika Hettiarachchi’s work based on the ‘Herstories’ Archive of life histories of women across Sri Lanka. Rounding off the visual arts programme will be Anup Vega’s performance-installation piece enacting pan-religious rituals. Sujeewa Kumari’s interactive space within which audiences can engage with the timeless order of nature. 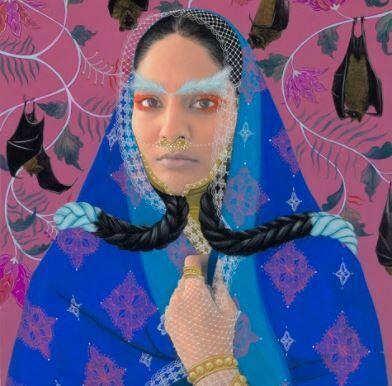 Diaspora artists’ Rajni Perera’s take on the politics of cultural identity, and Maya Bastian’s new-media collage dealing with dissonance and reconciliation within shared family memories of trauma. Finally, there is Alex Stewart, a British artist who has been visiting Sri Lanka since 1993, crafting story-telling exhibits that celebrate both the whimsical and hard-truths of Sri Lankan life and folklore to much local acclaim. Annoushka Hempel is the founding Director of the Colombo Art Biennale (2009) and Hempel Galleries (2003) in Sri Lanka. She graduated in Art History & Social Anthropology at London University’s School of Oriental and African Studies (SOAS) and went on to become head research assistant for The History of North African Art by Werner Gillon before moving to Sri Lanka in 2004.